Atheism: Proving The Negative: 4 in 10 Americans are still Young Earth Creationists/Evolution Deniers; No Change in Attitude in 30 Years. 4 in 10 Americans are still Young Earth Creationists/Evolution Deniers; No Change in Attitude in 30 Years. The latest Gallup poll confirms the dismal news. About 40% of Americans believe that God created humans in their present form within 10,000 years. About 38% believe that humans evolved but God guided the process. And a mere 16% believe that humans evolved without God’s involvement. Some other results, many of which have been discussed here before: Education is positively correlated with belief in evolution. A whopping 47% of those with a high school education or less are young Earth Creationists, while 74% of those with a post graduate education believe that humans evolved on their own or with God’s guidance. Most Americans believe in God, with about 85% of them claiming a religious identity. And the percentages of people subscribing to evolution only, evolution with God, and young Earth creationism have remained relatively stable since 1982. A few thoughts. First, what the strikingly high number of YECs and their low levels of education should illustrate to us is that our backsliding scientifically, culturally, and historically into some modern form of a dark age is not uninformed alarmism. Humans have a powerful and dangerous urge to be religious. Couple that longing with ignorance and scientific illiteracy and their minds can be overtaken by the most farfetched and bizarre religious fantasies. Part of the blame for these stagnant and dismal numbers lies with science educators and their failure to adequately confront superstition, ignorance, and tribalism. I’ll speculate about the pressures that seem to be contributing to their timidity. Any challenges to these beliefs, no matter how outrageous they are, are taken as affronts. It’s offensive to even ask, “Why would you think THAT is true?” Many of seem to think that nothing else is required of us that the mere fact that we choose to believe it. And if anyone presses them for more than that, then they are accused of being angry, strident, hateful, and intolerant. As I have argued here before, religious freedom should be considered the right to be unrestricted in your investigation of various religious ideas. You should be able to read what books you want, say what you choose, and assemble with people of your choosing. But your freedom of religion does not absolve you of the general requirement on all of us to be reasonable and seek after the truth. Nor does it absolve you of your social, moral, and political responsibilities to the rest of us. Our fates are intertwined. Religious beliefs inform who my neighbor votes for, who she elects to the school board, which bond measures she supports, how she educates her children (and mine), who she wants to go to war with, who she wants to make peace with, who she’s willing to execute, which laws she supports, and what sort of society she contributes to. If a sufficiently large percentage of our population has their good sense eclipsed by Iron Age religious nonsense, we’re all put at risk. I think that the only way that so many Americans can continue to believe something as patently false as YEC is that the people entrusted to teach them are either too ignorant, or too timid to hold the bar where it should be. Approximately 13.7 billion years ago, the universe went from a state of infinite curvature and energy to a rapidly expanding chaotic state, the Big Bang. During the first pico and nano seconds of this period of rapid expansion, the types and behavior of particles that existed rapidly changed as the energy levels dropped. Within a few nanoseconds, the kinds of matter and the way they act settled into, more or less, the sorts of material constituents we find today. Matter continued to expand and eventually, several billion years later, gravitational pull congregates clumps of it together to form stars. Some of these stars are of sufficient mass to ultimately collapse on themselves, explode outward and spray new types of elements formed in their cores out into space. That matter eventually coalesces into smaller stars, planets and moons like our own. The Earth formed about 4.5 billion years ago. (We can find ancient rocks older than 3.5 billion years on all of the continents, and some crystals have been found that are thought to be 4.3 billion years old.) Life in the form of the simplest, self-replicating molecules occurs on Earth around 4 billion years ago. Natural selection and random mutations lead to the evolution of more and more life forms, many of them of increasing levels of complexity. The dinosaurs emerge from this process. The Triassic, Jurassic, and Cretaceous periods range from about 208 million years ago to 65 million years ago. Placental mammals arise about 54 million years ago. Modern humans (homo sapiens) originated in Africa about 200,000 years ago, 60 million years after the dinosaurs have gone extinct. A variety of early hominid groups vie for survival until all related lines except homo sapiens are extinct. In 2009, Lady Gaga releases her first album. "Humans have a powerful and dangerous urge to be religious. Couple that longing with ignorance and scientific illiteracy and their minds can be overtaken by the most farfetched and bizarre religious fantasies." To call the things that religious people believe fantasies misstates the problem. They are in fact lies. Furthermore, these lies are deliberately promulgated by people we can easily identify. It may be true that humans have an "urge" of the kind you describe. There seems to be a weakness in our thinking. And this cognitive deficit is methodically exploited by the real authors of this millennia-long tragedy: the priests. It is they who stand up day after day and lie to their congregations. Astonishingly, this is how they make their living. The vulnerability of our minds to "Trojan Horse" attacks by religious rhetoric is analogous to our weakness for gambling. And if you took a friend, who you knew to be a gambling addict, to a casino, you would be highly culpable in whatever disaster befell him there. Churches, like casinos, are designed to prey on our weaknesses and relieve us of our cash. Arguably, churches do much more harm. But the point is that every congregation is led by a professional liar, and I don't understand why even staunch atheists tiptoe around this fact. I think it's time to start pointing fingers. Ugh. Crushingly discouraging news, Matt. Yup, of course, lots of them are liars. I am part of the 26% of the population with a post graduate education who believe in the biblical account of creation (assuming that's what is meant by "Young Earth Creationists"). "Nor does it absolve you of your social, moral, and political responsibilities to the rest of us. Our fates are intertwined. Religious beliefs inform who my neighbor votes for, who she elects to the school board, which bond measures she supports, how she educates her children (and mine), who she wants to go to war with, who she wants to make peace with, who she’s willing to execute, which laws she supports, and what sort of society she contributes to. If a sufficiently large percentage of our population has their good sense eclipsed by Iron Age religious nonsense, we’re all put at risk." This. Oh, so this. You just put all my issues with religion/faith into one paragraph. I always want to scream this at people, to beat it into their heads... Nothing gets me more upset than people not recognizing this basic concept. We live together, therefore we have a RESPONSIBILITY to each other. You might have the right to remain uneducated, but you have a social, cultural and moral responsibility to educate yourselves and at least accept (but perhaps not believe) scientific, rational explanations and critical thinking. 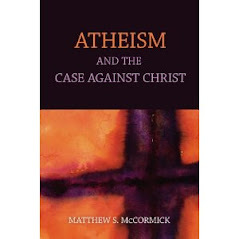 "As for the divide between atheism and Theism, it is not an issue for me because I believe the Bible teaches that everyone is going to heaven and have written an open letter to Christopher Hitchens saying so: http://bit.ly/fVWa7C"
I suppose there's nothing wrong with ignoring the several bible verses that say otherwise. Everyone seems to pick and choose what parts they like. It's like a buffet. I'm part of the 74% that paid attention in class. Just please stay away from science. I wonder what percentage of Americans belongs to the Old Earth Creationism camp. That's getting pretty popular. Can't tell whether you're maybe joking, Blake. But I take it that the 40% or so who believe that humans evolved with God guiding the process, are some kind of Old Earth Creationists. A lot of people seem to think that God caused the Big Bang, so they'd claim, I guess, that the universe is 13.7 billion years old along with the rest of the people who are sensible about this. The puzzling questions, I would think, for any theist who thinks that God caused the Big Bang and then guided evolution in order to produce humans, and Jesus and what not, are: why would the almighty creator of the universe set about to achieve his goals through such a circuitous, convoluted, and exceedingly inefficient process? And why would he do so in a way that exactly resembles a world that comes about through entirely natural processes with no divine intervention? The easier answer, of course, is that he didn't because no such things happened. I just read an interesting chapter in "Crimes Against Logic" by Jamie Whyte on a topic that you touched on here. He argues that there's no meaningful sense in which people have a right to their own opinion - after all, rights of an individual entail duties for everyone else not to violate that right. In short, he says that "if someone is interested in believing the truth, then she will not take the presentation of contrary evidence and argument as some kind of injury. It's just that, on some topics, many people are not interested in believing the truth. ... Once you hear [the words 'I am entitled to my opinion'], you should realize that ... you may be interested in whether or not their opinion is true, but take the hint, they aren't" (p.9-10). To change this shameful status quo, we need to use our tools of social praise for people who change their minds when presented with good evidence and reasoning and for people who share that evidence and reasoning with others. We should also use the tool of social condemnation for those who refuse to change their minds despite the best evidence and reasoning being presented to them, and for those who work to prevent that evidence and reasoning from being presented. Further, as Fyfe noted in "'Thank You' Giving Day" (http://commonsenseatheism.com/?p=12685), we should praise those who praise and condemn the folks they ought to praise and condemn, and we should condemn those who fail to do so. On a related note, culture change is a lot easier than it seems. "I.M. Wright", who writes a blog for the software engineering industry, puts it like this: "Can you change culture? Sure—simply expect, model, and reward different behavior. Really, it’s that easy." (http://blogs.msdn.com/b/eric_brechner/archive/2010/07/01/culture-clash.aspx).